Children of all ages are an important part of our church family and are always welcome in our worship services. The parlor has a window that looks into the sanctuary. Families with very young children are welcome to go there if they find they need to leave the service. ​Changing tables are located in both the Men’s and Women’s restrooms in the Sanctuary Building. A church nursery is also available for our preschool age children in Rooms 210 and 212. Booster seats, to enable the children to see better, are available at the entrance to the sanctuary. Child care is provided during all of our worship services and most of our church activities. A professional care-giver is employed for consistency of care and is supported by volunteers. ​To provide a safe and happy environment, children are divided into groups based on ages. Toys are sanitized regularly and safe diaper changing and toileting procedures are followed. Children are only released to their parents or to the adult who was designated at sign-in. Worship bags include paper and crayons as well as a worship guide and copies of the words to regularly used responses and songs such as the Doxology and Gloria and the Lord’s Prayer. There are tissues in the bags as well! Special children’s bulletins are provided for elementary age children. The ushers are happy to provide your child with an age appropriate bulletin. Children are an important part of the church and we want them to worship with us, believing that they learn best by watching and participating. Children are invited for a special Time for Children during the 10:45 worship service. Throughout the year, children participate in Worship Education which is organized and led by the Christian Education Team. Kid's Worship is offered for children ages 4-First Grade during the 10:45 Worship Service. All young children are invited to participate in the Worship Service until after a “Time for Children” when adult leaders will accompany the children to Room 211. Following the service, parents should meet their children in the classroom. Older elementary-age children and younger youth participate as acolytes in our service. Acolytes light the candles on the Communion Table at the beginning of worship and extinguish the candles at the end, carrying the light out after the Benediction. If your child would like to be part of this activity, contact our Director of Christian Education or click here. 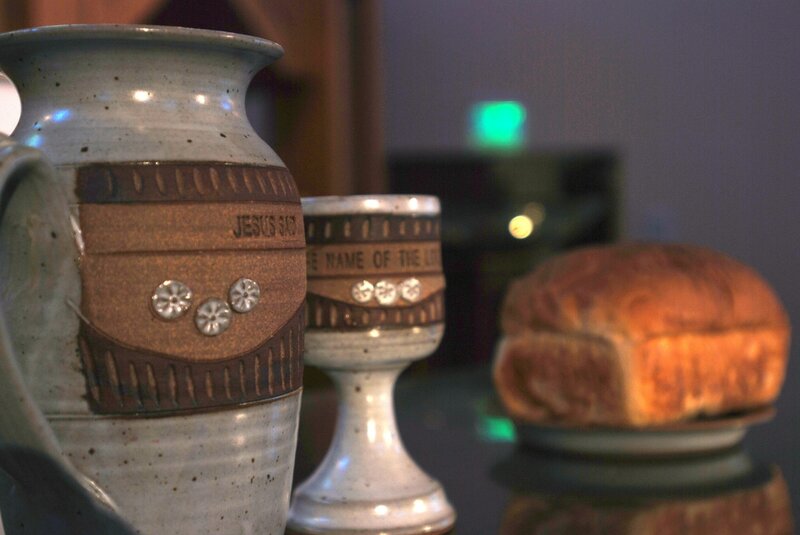 Communion:In the Presbyterian Church (U.S.A.) the baptized of all ages are welcome at the Lord’s Table. Children who are being nurtured in the meaning of this sacrament may join in communion at any time, however, the Session would like to help make a child’s first experience of communion be special. Please ask one of the ministers if you have questions regarding this. Baptism:In the Presbyterian Church (U.S.A.), both children and adults may be baptized. If you are interested in having your child baptized, please speak to a pastor.